We develop training programs and Master courses for knowledge institutions and branch organizations and in-house company trainings for companies. Examples are Erasmus University, Helsinki School of Economics, Club of Amsterdam, NIBE-SVV and NEVIR (the Dutch IR organization). For entrepreneurs we developed the MBW- (MaakjeBedrijfmeerWaard) programma™ program. We have more than 70 accelerator and incubator programs in the Netherlands, excluding the in-house incubators/accelerators of several corporates. Therefore, there is a risk you lose sight of the big picture. What is the added value of an incubator and/or accelerator for a corporate and how to choose between them? Evert Jaap Lugt – Yes!Delft will provide the perspective of the successful YES!Delft Incubator. What will be the Incubator of the future? Mazdak Zareei – Rabobank will share the results and insights of the Rabobank study on accelerators and incubators in the Netherlands. Toon Hermans – Demcon will tell more about the in-house incubation program for external start-ups of this fast-growing and innovative company. Annegien Blokpoel – entrepreneur, business angel, and mentor in several incubators and accelerators, will tell about her experiences with accelerators and incubators in Israel. These stories will be the input for round table sessions to discuss and learn more about the why of incubators/accelerators, what you can expect realistically, how to choose between the different flavors and what you need to do to create maximum value. We will close at 17.00 hrs. with network drinks. This event is organized by the Corporate Venturing Network, contact person Corina Kuiper. Doel van de reis is om kennis te maken en samenwerking te verkennen met het Israëlische VC/startup/accelerator ecosysteem/ industrie en het versterken van de relaties tussen startup/accelerator- en investeerdersecosystemen in Nederland en Israël. 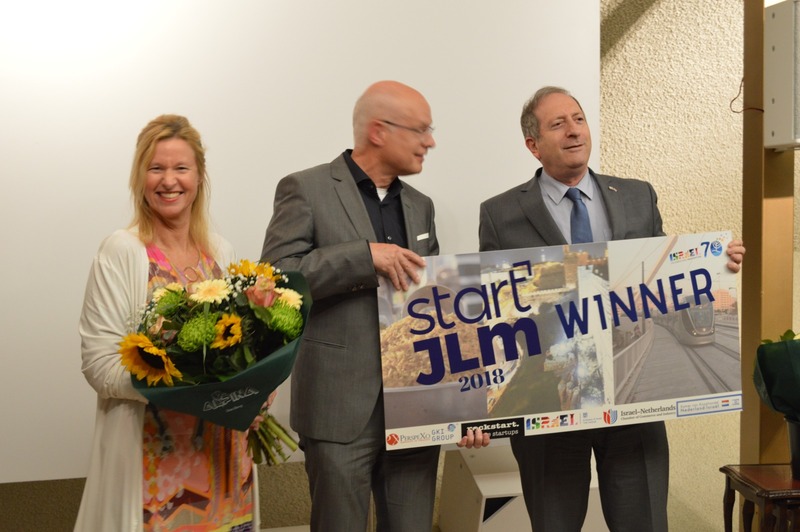 Tijdens het programma brengen we bezoeken aan investeerders, accelerators, co-working spaces en interessante tech ondernemingen in zowel Tel Aviv en Jeruzalem. In samenwerking met de Nederlandse ambassade in Tel Aviv organiseren we een netwerkborrel voor NL en Israëlische investeerders ondernemers. Deze reis wordt georganiseerd in samenwerking met APEC. Indien je voor een missievoucher in aanmerking komt kost het programma je € 750. Anders kost het € 1.500. Informeer bij PerspeXo naar de mogelijkheden voor deze voucher. Dit is inclusief 4-daags programma in Tel Aviv, Jerusalem, lunch en diner. De programmabijdrage is exclusief hotelkosten (rond de 550 euro en wordt via de reis collectief georganiseerd) en individueel te betalen bij het hotel. De vlucht dient zelf te worden geboekt en betaald. Een retour Amsterdam-Tel Aviv kost ongeveer € 250 bij vroeg boeken. De totale kosten komen daarmee op ongeveer € 1.500 ex BTW. November 15th the Business Angels Europe is hosting a full day to share experiences and best practices from women business angels. Annegien Blokpoel (Serial Business Angel and venture partner Nextstage Fund and member TheNextWomen) is speaker at the evening Round Table, together with Helen Oldham (Founding Director Northinvest, UK), Cecile Bassot (Lead Angel, Board Member FBA, France), Fausta Pavesio (Investor and Board Member, Venture Partner Smartup Capital) and Frederique Clavel (Founder, Les Premieres network, MD Fincoach group and Advisory Board WA4E). Who should attend: Professionals in Communications, Legal Affairs, Sustainability and others that are (in)directly involved in Investor Relations. “Why is EBITDA important? What are the key financial metrics for my company? What is operational leverage? Why do analysts ask about debt coverage? How do you read an analyst report? Do you want to gain relevant insights into the magic of financials in a time and cost efficient way and want to be able to understand and communicate easier with your IR colleagues, then this crash course ‘Basics of finance and financial jargon’ will offer the solution! The Masterclass is designed as a stepping stone to the 2.5 day IR Masterclass, but can also be followed as a standalone Masterclass. Annegien Blokpoel, who has more than 15 years of experience in Investor Relations & Corporate Communications and also the organizer/moderator of the IR Masterclass, is trainer of this half day course. After this course you will have gained knowledge about basics in finance and the key financial terminology in financial communication (capital markets, press releases etc) of a listed company. For more information: annegien.blokpoel@perspexo.com or secretariaat@nevir.nl. StartupJerusalem brings together innovative, early-stage start-up founders from around the globe to explore and experience Jerusalem’s vibrant start-up ecosystem. This is a unique opportunity for entrepreneurs to connect and benefit from interaction with prominent local tech leaders in a five-day immersive program, featuring interactive fireside chats and panels, specially designed how-to workshops, site visits at leading companies and exclusive networking meet-ups with the city’s start-up community. The program is running for the second year now after a phenomenal success last year. This year with an emphasis on BioTech and Digital Health startups, the most prominent sector dominating the Jerusalem startup industry. Purpose of this trip is to establish meaningful connections and business relationships to the global innovation system present at/around DLD, the important players in the Israeli ecosystem and to build a strong Dutch StartupDelta brand. We will use the DLD conference, program and smaller business events around DLD to create tailor made programs to meet the demands of the individual participants and to effectively use the collective marketing/branding of the Dutch ecosystem. The participants of this Trade Mission are part of the convoy of StartupDelta, and will be part of the booklet created for DLD, pro-active assistance is given to create a tailor made program fitting individual organizations wishes. Together with the Dutch Embassy a network event will be hosted. Israel is internationally recognized as startup nation and first programs for startups started early 80’s. In recent years a whole array of support programs were created, like incubators, accelerators etc, and in addition the number of international corporate development centers increased substantially. Israel is now more and more becoming a R&D center for the global innovation community (more than 300 international Corporate R&D Centers), with a well developed international ecosystem, including seed finance, growth capital and private equity funding for fast growing tech companies. Israeli companies have good access to the US capital market (private equity and IPO’s) and launching customers/strategic buyers. 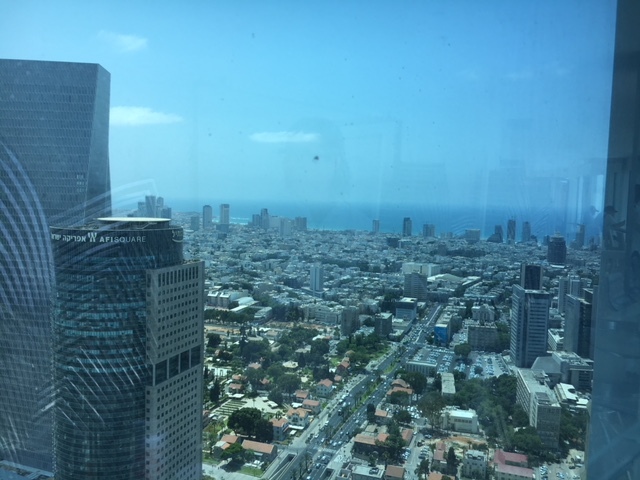 Corporates like Google, IBM and Unicorns have accelerator programs and R&D centers mainly in the larger Tel Aviv/Herzliya area. At this moment there are more than 70 local venture funds and 80 accelerators (public, University, venture funds and corporate affiliated) and a large number of international VC’s. Over the last 10 years there are annually more than 1.000 new tech startups and in 2017 alone more than 5 billion was raised. Tel Aviv has evolved into one of the world’s leading hubs for technology and innovation. Tel Aviv Digital Conference is a platform which connects global thinkers, CEOs, futurists, entrepreneurs, investors, scientists, opinion leaders and creative talents. If you are allegeable for a mission voucher*the program total costs are € 750, otherwise € 1.500. This includes the 3,5-day program in Tel Aviv, the conference and the network event Tuesday and diner on Monday evening. The program contribution is excluding hotel costs (around 580 euro, including breakfast, business club and collectively organized until August 7th 2018) and individually paid to to the hotel. Transportation is individually booked and not part of the paid. A return flight Amsterdam-Tel Aviv is around € 250 early booking. Total costs, including voucher, are around € 1.500 ex VAT. Day 2: Capital markets in action.